If you haven't done so already, read my piano tutorial How To Play Piano - Part 1 first as this will explain a few basics that you need to know about finding your way round the keyboard. A stave or staff is a set of five lines and four spaces, and each line or space represents a particular white key on the piano. The names of the notes on any particular lines or spaces are dependant on which clef is shown on that particular stave. 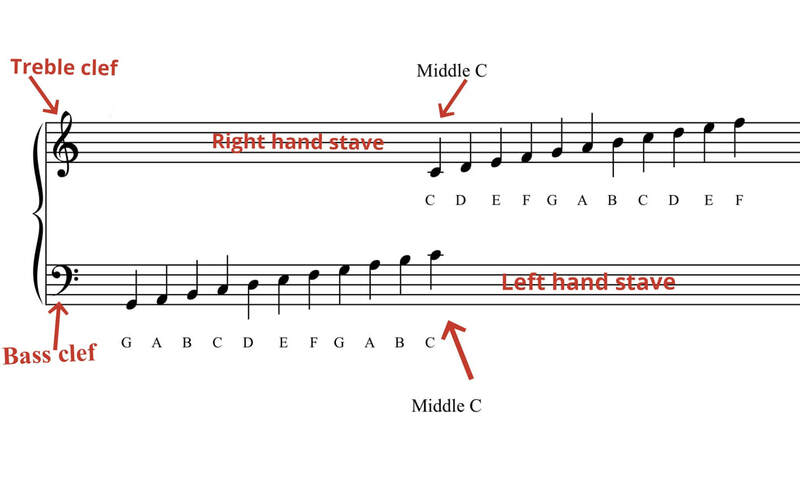 Notice how a note on the middle line of the top stave is a B, whereas a note on the middle line of the bottom stave is a D. This is due to the clef signs telling us which set of letter names we should be assigning to the lines and spaces. 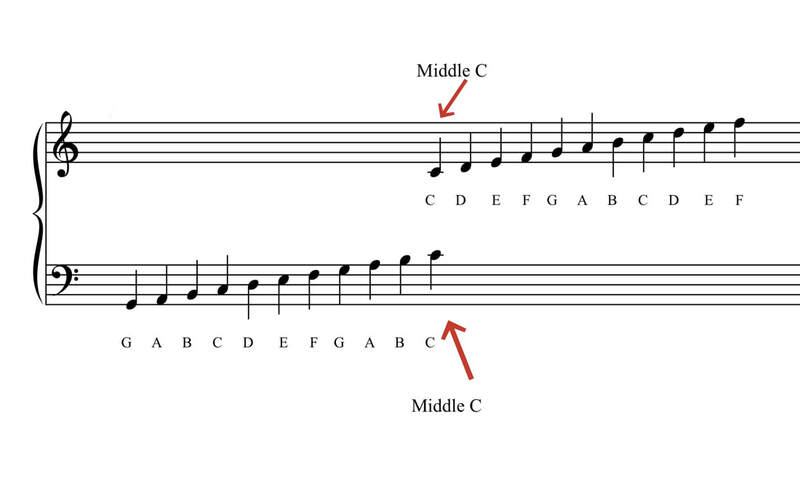 Middle C has an extra little line going through it - this is a ledger line and is actually just a shortened version of the stave lines, and serves the same purpose. We have ledger lines instead of an unlimited number of stave lines because it would just be too hard to see exactly which line or space a note is on if there were more than five stave lines. 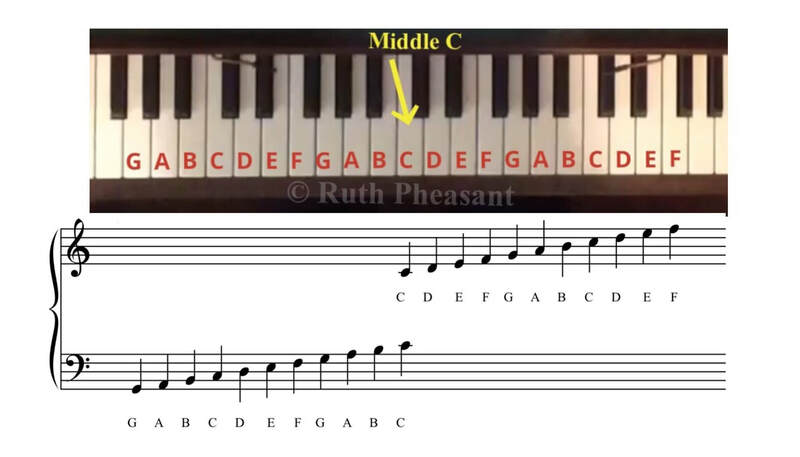 Notice how there are two appearances of middle C. The top middle C shows how it looks when it is meant to be played by the right hand - it is written closer to the right hand stave. The bottom middle C is for the left hand - it is written closer to the left hand stave. These are both representations of exactly the same note on the piano, just played with different hands. This means you are supposed to play the D below middle C with your left hand. Now that you have learned some basics about music notation, you can learn about rhythm and time values. Learn more about reading music.